Weston is home to over four thousand happy residents. Originally named Preston, the name was later changed to the city of Fleshersville before finally being renamed to Weston. This small town is home to a few attractions that you might just want to take a look at while you are in town. This beautiful structure wouldn’t strike you as an American hospital. 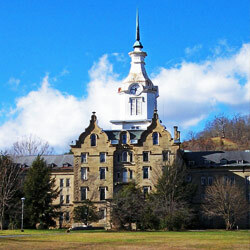 In fact, this beautiful building looks more like a European castle than a former insane asylum. Here you can take a wide variety of tours of the complex in all its glorious days. Learn about the building during the Civil War and its later change to facilitate the most mentally ill of patients. This fun and inexpensive tour is a great way to spend any day in the Weston area. Explore all the wings of this hospital on a guided tour and hear all the stories that make this icon a small town legend. If you are a wine enthusiast then there is no better place for you to spend a few hours than Lambert’s Vintage Wines. These friendly faces are just dying to share their amazing knowledge of fine wines with you. You will quickly feel like a long lost friend as the owner leads you through an informative tour of the facility so you can see just what it is that sets this wine aside from the rest. Then, move on to the wine tasting where you can sample the best of these wines. We guarantee you won’t be able to leave without taking some of these fine vintage wines with you. Budget Rental Car Discounts can make your next trip more affordable than ever. With quality customer service and fantastic rates there really is no better place to rent a car than from the trusted Budget! AVIS Savings and Discounts are the perfect solution to your traveling needs! With a wide selection of vehicles to choose from at an affordable price you can make your next family vacation, business trip or other venture more affordable than ever. The beautiful town of Weston is home to a wide selection of restaurants. You can find whatever it is you are craving any night of the week! Here are two great options while you are in Weston! If you are looking for a small town tradition then there is no better place to visit than the Thyme Bistro. Here you can find a healthy serving of good old fashioned American food. 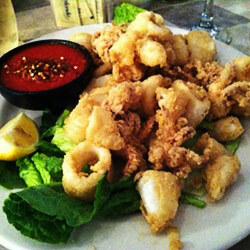 Here you can find generous portions of your favorite dishes any day of the week. The Thyme Bistro is well known for its desserts, but they only make a certain quantity a night. So, be sure to order yours fast before they fly off the shelves! One of their signature dishes is the encrusted salmon; an absolute must try if you are in the Weston area. With a wide selection of dishes to choose from, quality food, friendly faces and great service Thyme Bistro is the place to be. Another great small town gem is a small little barbecue restaurant with a mouth watering menu. Bringing the best of the South to meet the North you can enjoy huge servings of quality barbecue at an even better price. The moment you walk through these doors you will feel like one of the family as you enjoy delicious helpings for lunch or dinner. The Hickory House serves amazing ribs, burgers, brisket and of course, their signature French fries and biscuits. This is a great place to bring friends and family and enjoy a night out at a great price! With Enterprise you can make your visit to the Weston area more affordable than ever. With a wide selection of rental cars to choose from you can go wherever you want, whenever you want in the vehicle of your choice.